Plants have built-in wiring, and their leaves, stems and roots are contain circuitry that allows them to convey chemical signals key to their growth and life. Photosynthesis, for example, is created using this circuitry. These organic circuits appear to work quite well as actual electronic circuits, the researchers said. 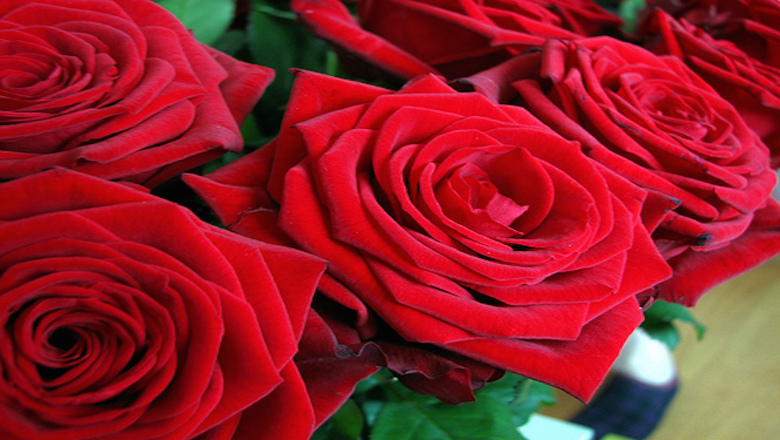 To form a transistor, the researchers placed cut roses in a water solution containing a water-soluble polymer called “PEDOT-S:H.” The roses absorbed the water, taking the polymer directly into their circuitry. The polymer hardened, forming hydrogel “wires” capable of conducting electricity. In contact with electrolytes already present in the roses, the “wires” effectively formed a transistor that converted the plant’s natural electrochemical signals into electricity — electricity that might one day be accessed for human use. But don’t get too excited just yet — the amount of electricity obtained from a houseplant is still small. Today, the most natural way to convert the chemical energy of a tree is to burn it, but this technology could allow us to gently tap out some of the energy without killing it, the researchers said. However, the applications for this technology could go beyond squeezing electricity from trees. “With integrated and distributed electronics in plants, one can envisage a range of applications including precision recording and regulation of physiology, energy harvesting from photosynthesis and alternatives to genetic modification for plant optimization,” the researchers said in the report. That’s right — in the future, this technology could be used to help regulate plant physiology, controlling the rate or time flowers bloom, based on the weather or the availability of water. This could make it possible to modify the way plants grow or respond to their environment without using topical chemicals or genetic engineering. If this were to become mainstream, it could make the debate over genetically modified organisms (GMOs) null or concerns about pesticides irrelevant, as we use electricity to maintain and increase crop yields to feed our planet’s growing population. With the world’s population projected to grow to more than 9 billion by 2050, that’s a lot of mouths to feed. And to think, it all could start with a rose.